← TPP – What it Means to You! AGW – Paris Climate Treaty – Dealing with Facts OR Fiction? It is entirely logical to consider this global attack on our well-being as an aberration of scientific principles and political agenda. Is the planet warming because of carbon dioxide influences? Is it actually warming because of man’s influences, other than our physical presence, urban infrastructure development and deforestation? Is it apparently warming because of temperature measurement siting, selection and creative computing? Is it warming at all? If it is warming, is it causing current climatic events, and will it do so into the future? IF warming was causing potentially destructive issues, is there anything currently adopted or proposed by the UN authorities which will actually, significantly affect the warming? All these questions remain without official, scientifically based answers. The integrity of the science currently supporting drastic carbon controls, and financial and political upheavals being forced onto our population, is justifiably being questioned and must be addressed if we are to have justice in this world. This entry was posted in AGW, climate change, ENVIRONMENT, Globalism, United Nations, World Issues and tagged Carbon dioxide, Carbon tax, Climate change, ENVIRONMENT, Ethics, Global warming, Greenhouse gas, IPCC. Bookmark the permalink. 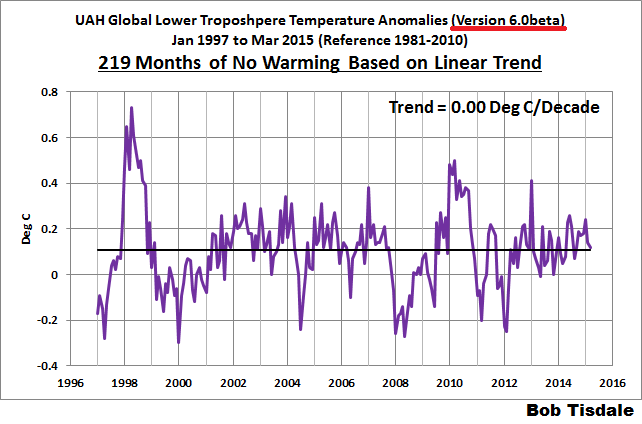 2 Responses to AGW – Paris Climate Treaty – Dealing with Facts OR Fiction?